Welcome to the Latchford House of Memories. Our house is really a stroll down “Memory Lane,” by those who loved Latchford and its unique past. The Department of lands and Forests (Ontario), built this house nearly 75 years ago for the Chief Ranger, Mr. Phil Hoffman and his family. The outbuildings, still in place today, included a bunkhouse for the Fire Rangers and other employees. 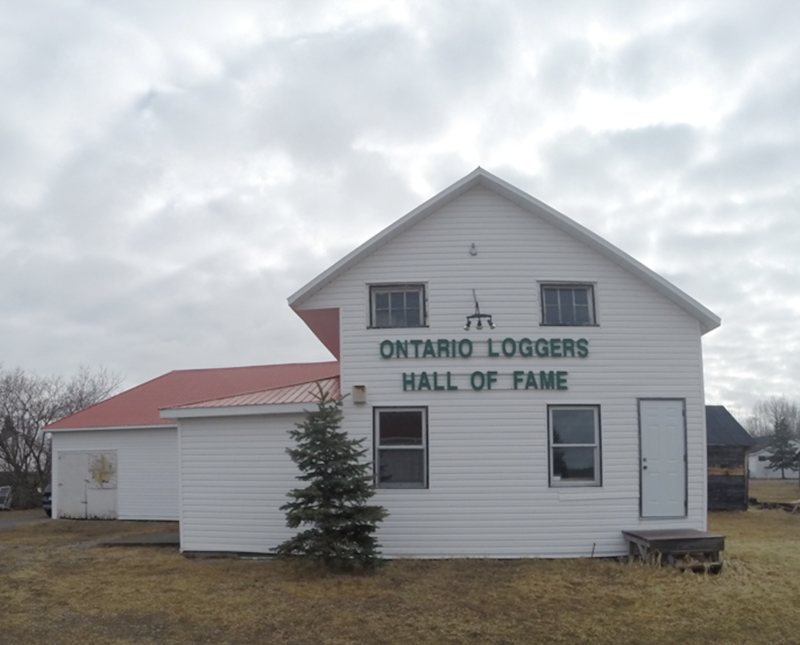 The large building known as the Loggers Hall of Fame, was a garage for the Department’s trucks and equipment. Well-kept lawns and gardens surround the buildings. 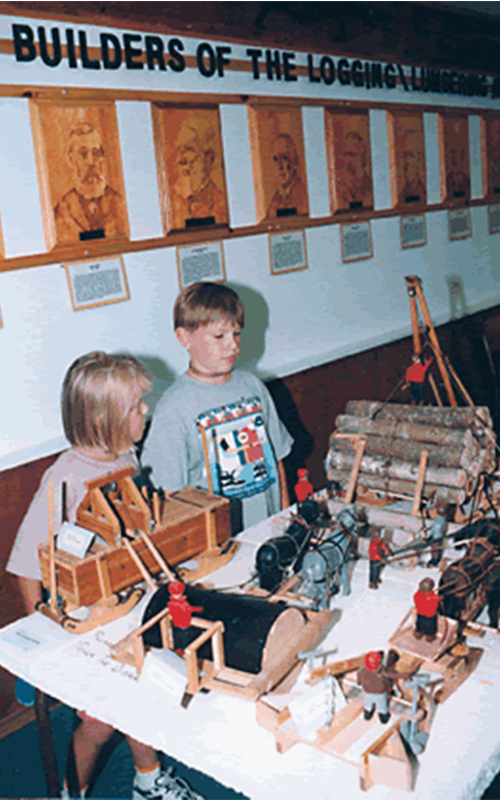 Contains more than 2,000 exhibits ranging from 19th century housewares to lumbering and blacksmith tools, World War I and II memorabilia; railway exhibits to geological specimens. Please enjoy the new easy to access archives of historic pictures, videos, and audio from former residents and significant events in Latchford forund on a new computer system in the museaum. This project was funded by Ontario Trillium Foundation. It should be noted that this 10-room house contains many artifacts dating back to the early 1900s and on to the more recent past of the 1970s and 1980s. There is interesting reading material, which unfortunately is in very fragile condition and must be handled with care, such as school and church records and pictures of all kinds. Very recently, the exterior and windows of the House of Memories Museum were completly renovated with a grant from Human Resources Development Canada (HRDC), keeping the original integrity of the building at all times. Latchford was a leader in the logging and forestry industry, drawing folks from all walks of life. It was from Latchford that the mining industry developed and made use of the products produced here in the mills of the forest industries. Latchford was incorporated on July 15th 1907 and was a vigorous and active community, coping with the ups and downs of bust and boom into the 1960s. 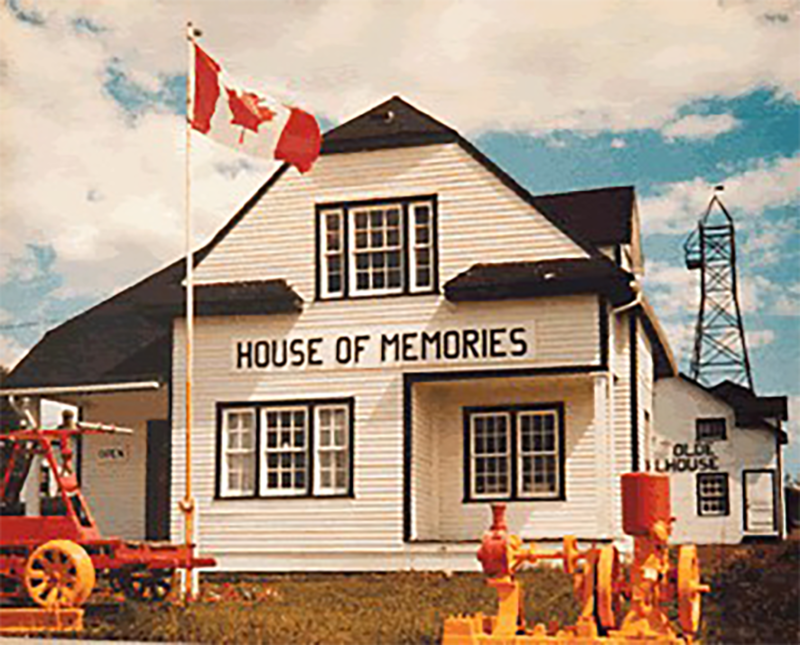 The House of memories was established by a small, courageous group of citizens in 1967 as a Centennial project. Many family memories are housed here to bring a warm and loving community to life once again. The House of Memories Museum is open seasonally from July 1st to End of August. A point of interest feature in Latchford is the Sgt. Aubrey Cosens VC Memorial Bridge. This bridge is the primary highway link to all of Northern Ontario via Highway # 11 as it spans the Montreal River. Sgt. Cosens is Latchford’s own World War II Hero, and he received the Victoria Cross for his bravery and sacrifice of his life for our country. 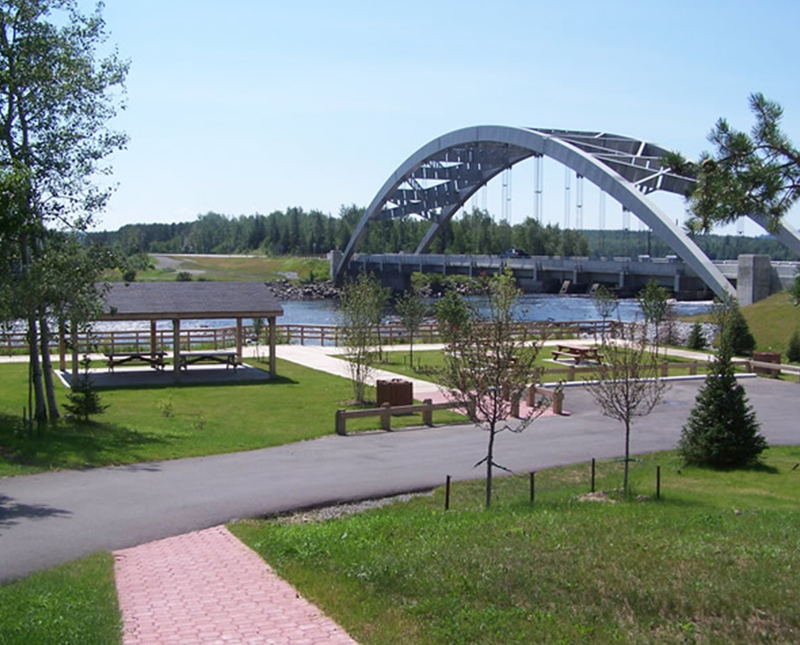 The Veteran’s Park is located alongside of the highway bridge and is an irresistible picnic and rest area overlooking the Montreal River rapids. 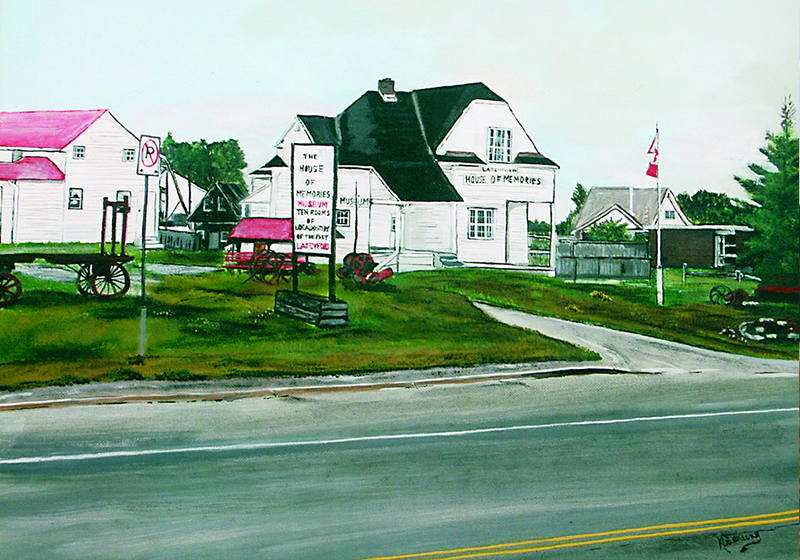 On May 31st 1986, the Town of Latchford honoured a son of the north and a magnificent Canadian, Sgt. Aubrey Cosens V.C. Aubrey Cosens was born in Latchford on May 21st 1921, the only son to Mr. and Mrs. Charles Cosens. Shortly afterwards his family moved near Porquis Junction and this is where Aubrey Cosens remained until he left school at 17 and went to work as a section hand on the Temiskaming and Northern Ontario Railway. A year after taking this job, the Second World War broke out and Aubrey attempted to join the RCAF and was rejected because he was considered too young. 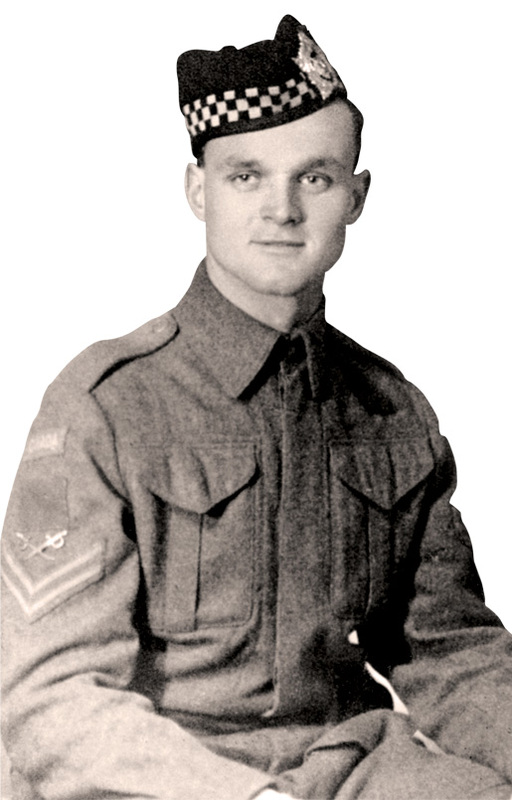 In 1940 he joined The Argyll and Sutherland Highlanders of Canada and later transferred to The Queen’s Own Rifles of Canada, and was in August 1944, part of the D-day reinforcements in Normandy, France. Early on February 26th 1945, his unit attacked enemy forces at Mooshof, Germany which was a strategic position vial to the success of future military operations. His platoon suffered heavy casualties and Cosens assumed command. Supported by a tank, he led another attack against three enemy strong points, which he captured and took a number of prisoners single-handed. While on his way to report this victory to his commander, Aubrey was killed by an enemy sniper at the age of 23. For his outstanding gallantry, initiative and determined leadership, Sgt. Aubrey Cosens was posthumously awarded our Country’s and Commonwealth’s highest declaration for valour: “THE VICTORIA CROSS”. Only 16 Canadians were awarded the Victoria Cross in the Second World War. 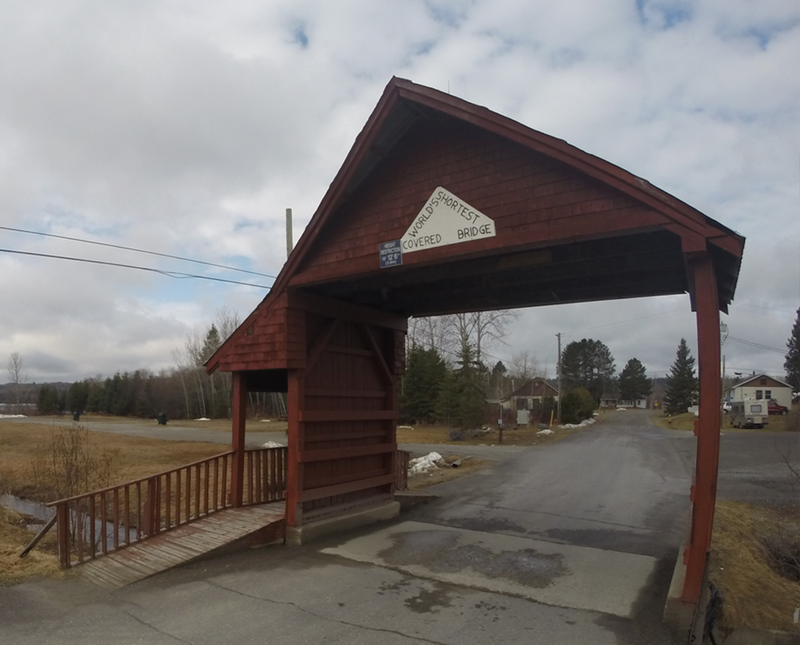 Don’t miss the unique opportunity to stop and view the World’s Shortest Covered Bridge, according to the Guinness World Book of Records. The Bridge is 11 feet, 3 inches (3.4 m) long along the roof ridge, though the water covering is only 4 feet of that across a concrete culvert. The bridge holds one lane of traffic, and one lane of walkers. Visit the Latchford waterfront and enjoy a day on the beach! 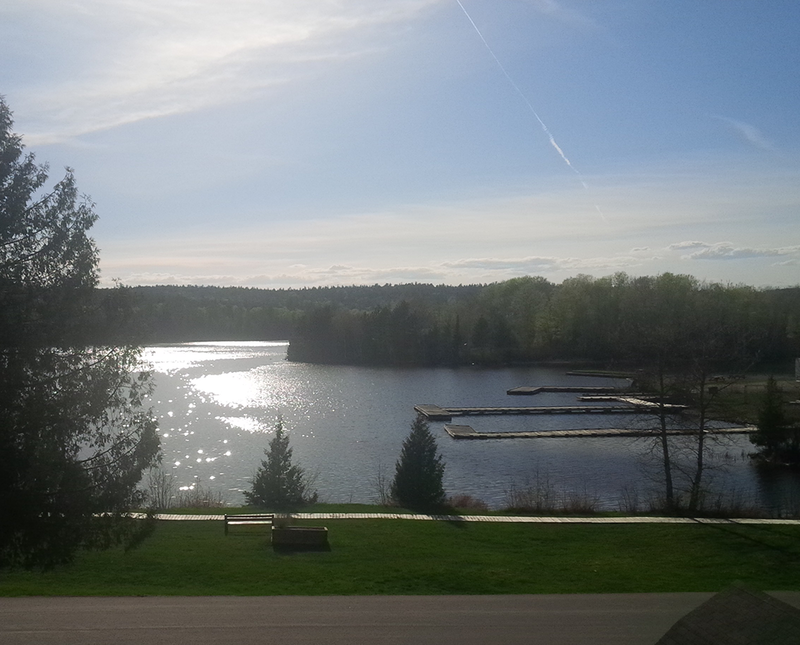 Have a picnic under the sheltered pavilion, take a stroll on the boardwalk or fish off the dock and catch a big one! Let the kid’s play on the new playground while you relax and take in the beautiful scenery of Bay Lake.